A newly renovated Hillenbrand Softball Stadium has reopened after eight months of construction ready to welcome players and fans alike. JB Steel was excited to be a part of the Concord General Contracting team on this great project! 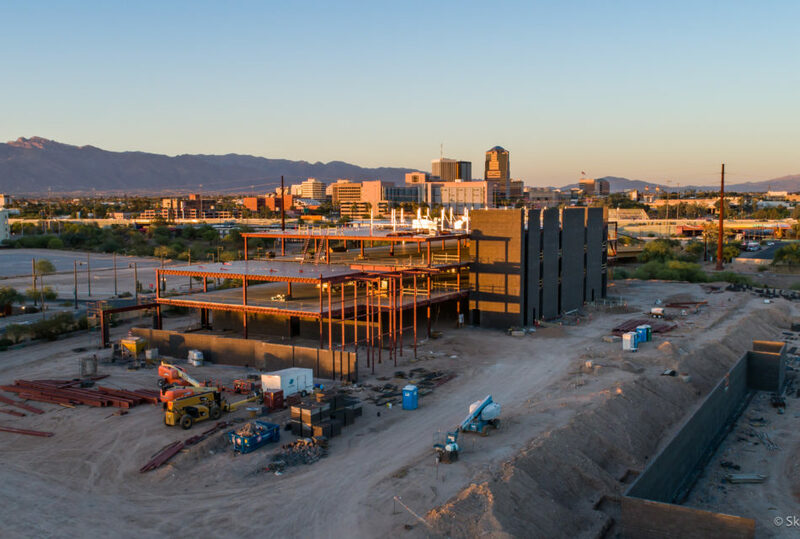 J.B. Steel helps create the future leaders in the construction industry by working with students at the University of Arizona. Recently our senior estimator, Chris DeYoung, spoke to a Construction Cost Estimating class and provided his experiences and lessons on how to estimate structural steel. The Rendezvous Plaza will be soon getting a full makeover. The Rendezvous Urban Flats project will offer retail and apartment options to the area with easy access to the Fox Theater. J.B. Steel will be providing the structural steel and miscellaneous steel for this exciting project. Upcoming new Geico office building at The Bridges was awarded to the Renaissance Companies. J.B. Steel was selected to provide the structural and miscellaneous steel package.